When you have a loved one that is in their golden years, it is important to make sure that they can get the care and the support they deserve. After all, being a senior citizen can present many challenges that younger people wouldn’t even think twice about. The smallest things like cleaning the house, using the bathroom, or even getting dressed can feel like a nearly impossible task at an advanced age. 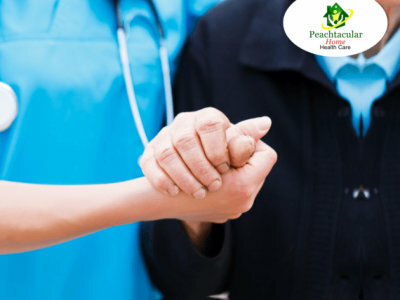 However, with the help of Private Affordable Home Health Care such as the services you can get from Peachtacular Home Health Care, life can be much more enjoyable! One of our most convenient services is homemaking. We make your own home more comfortable as we keep it clean and tidy. This service is designed to help relieve the stress that your loved one deals with on a daily basis. 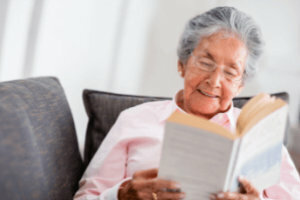 In your golden years, the biggest source of stress that many senior citizens face comes from the small things around the house or tasks like running errands. So in order to help them enjoy life more and give them the time and the energy they need to do things they actually want to do, we offer our high-quality homemaking services where we will handle these things instead. With less time fussing over household chores, your loved one can spend more time relaxing or pursing new activities to keep them healthy and active. Another way that we can help the elderly live a much easier and enjoyable life is through our personal care service. This service is designed to help senior citizens with the trivial and basic tasks like using the bathroom, getting dressed, and personal hygiene. Often, these activities are called “Activities of Daily Living” or “ADL”. These are things that most of us do not worry about doing, but it can be a huge hassle for many elderly people. For this reason, we make sure to provide them with the support and care as they go about these tasks day by day. If you are interested in learning more about how we are able to provide the care and support for your senior citizen’s need, please feel free to come and check out our website peachtacularhhc.com for more information anytime. Also, if you have any questions that you would like to ask us, please give us a call now at 778-858-2695. So when you need a Home Health Care in Metro Vancouver, you can count on us to provide you with the support and the care you or your loved one needs in the comfort of home. This entry was posted in Home Health Care. Bookmark the permalink. Let us answer any of your inquiries and concerns. Talk to us today.